Verulamium Park is over 100 acres of beautiful parkland near central St Albans. It includes two lakes, a Roman mosaic, a section of Roman wall, an array of wildlife and waterfowl and a rather out-dated play area. The residents are proud of our flagship park and we are ambitious. We don’t just want to refurbish the play area; we want to completely replace the 30-year old equipment with something new, inclusive and innovative that inspires the imaginations of the tens of thousands of children, local and visitors, to the park every year. The bar is high…we need to raise a total of £250,000. We already have £50,000 towards the budget arising from the recent local development of King Harry Park. 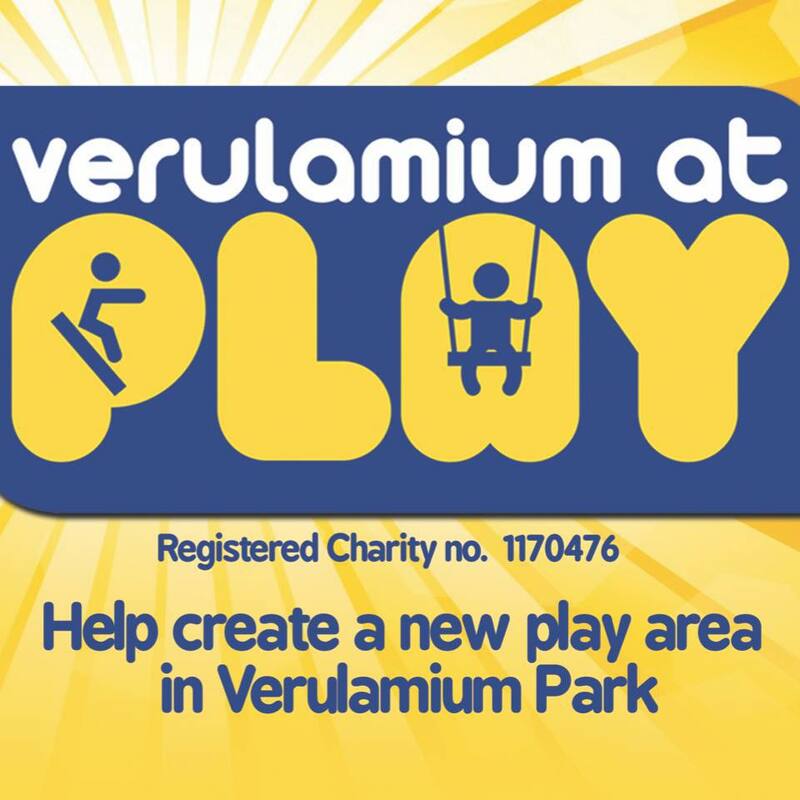 Verulamium At Play is the community group and charity that has come together to engage the wider community, fundraise the other £200,000, and make the vision a reality.